Happy Thanksgiving! We will have shortened hours this week due to the Holiday. We are opened Tuesday and Wednesday until 5 pm. Closed Thursday but opened Friday & Sat from 10am - 5 and Sunday from 12-3pm. We hope you have a lovely time celebrating in whatever manner you choose. Personally, I will be outside in a tree stand enjoying the brisk air and gorgeous Montana wildlife! 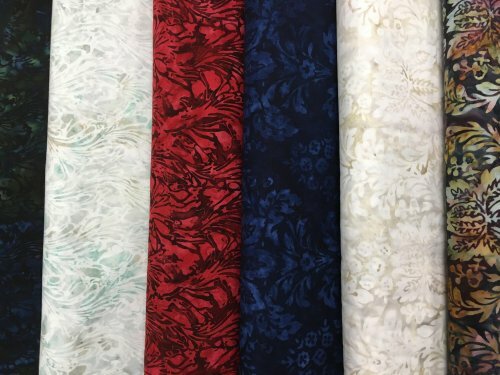 Stop in on Friday for specials on all Christmas fabrics to make those last minute gifts. 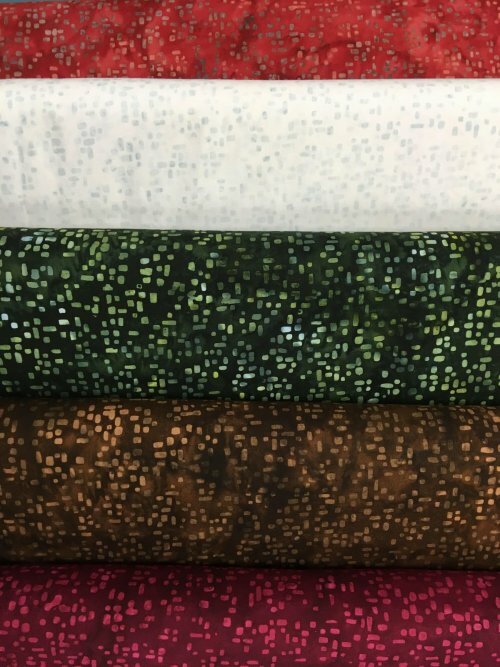 Christmas and Fall Fabrics will be 25% off. We have cute stocking stuffers. 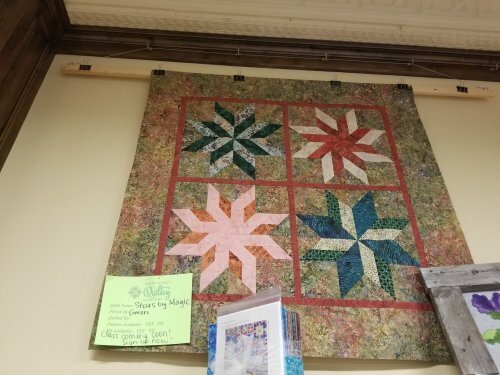 We can help you pick out a gift for the quilter in your life, too! 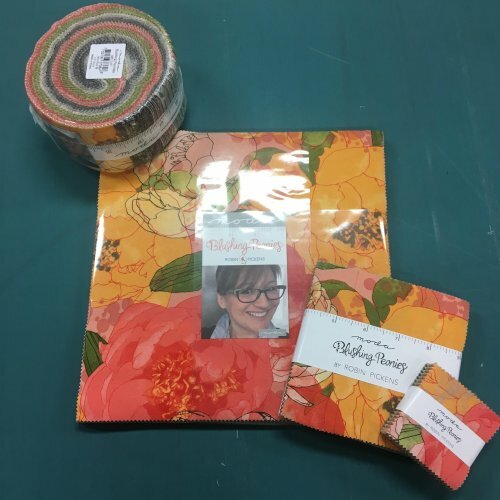 Join us MONDAY Night for a fun way to use up your stash @ STASH Busters!! 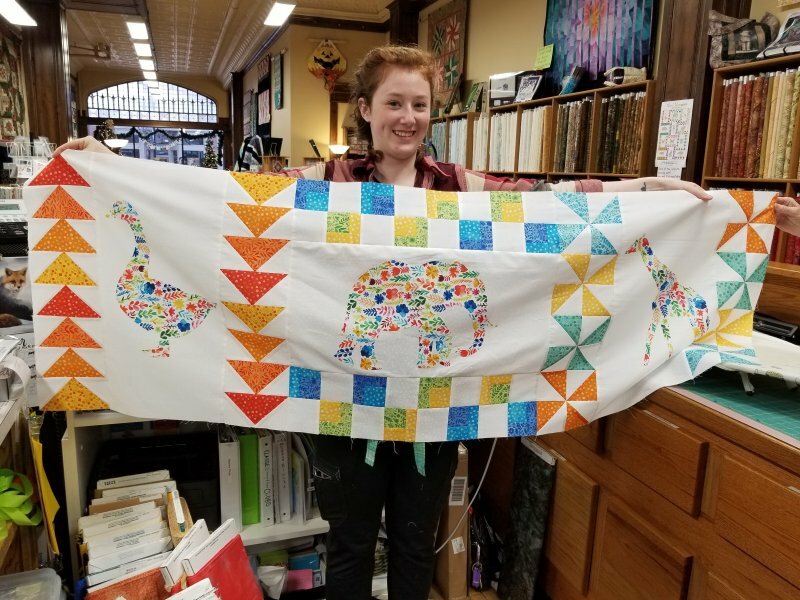 Bring: 72- 4 1/2" squares and about a 1/3 yard neutral fabric for a fun and easy 3 hour runner that would make a great gift! 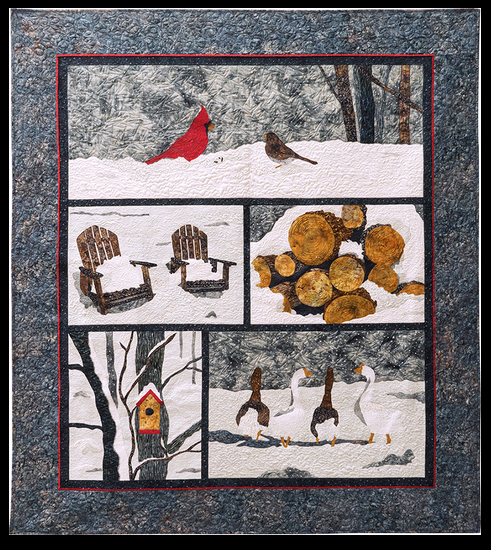 Beginning Quilting Mini Camp- New Session opening Jan 9-30 Evenings only. 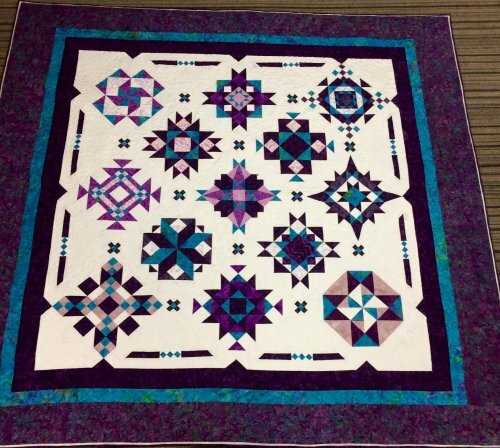 You will learn to make 4 basic blocks and add the setting that you desire for a runner or a table topper. This class is a great starter if you are unsure about joining the 12 week class. 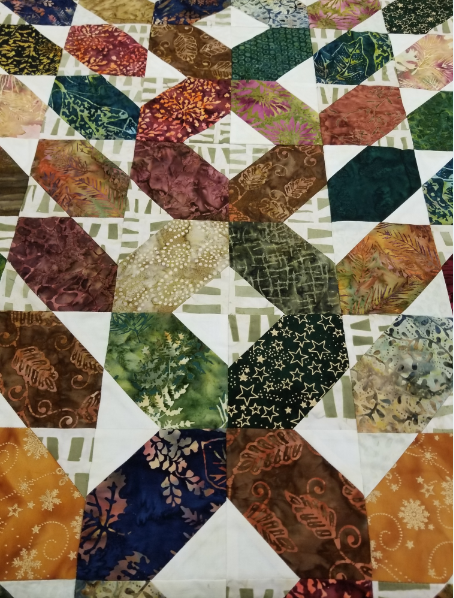 Intermediate Quilting- 14 weeks starting Nov 30- PM class is full and 1 space remaining in AM class. NEW in the Store... 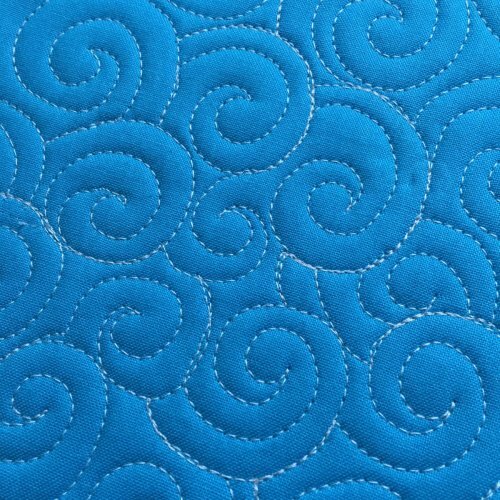 Fabrics, Kits, Patterns, etc! New from Moda:Blushing Peonies- You loved the Poppy in Robin's Art Deco style and she did it again! 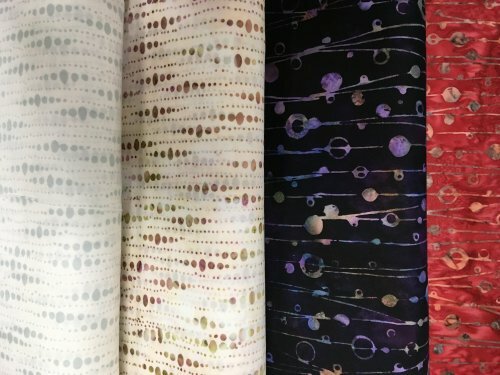 New from Hoffman- Hoffman sent us a gorgeous line of batiks this month. They have already been put into some beautiful projects. Don't miss these! Kendrick is working on Floral Menagerie's store sample and it's so CUTE! 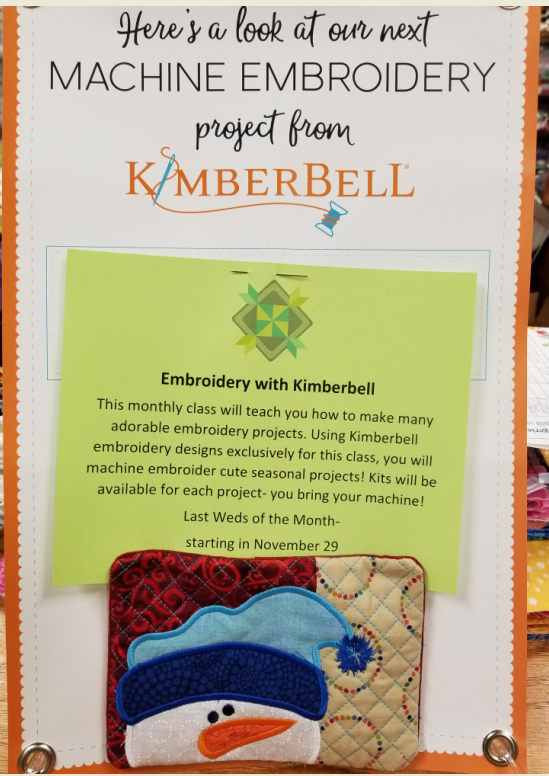 This BOM is great for sewist of all ages. The blocks are simple and lovely and the animals have such personality. We have room in this BOM. Mystical Prism BOM has begun but it's not too late to sign up for this 102" King size beauty. 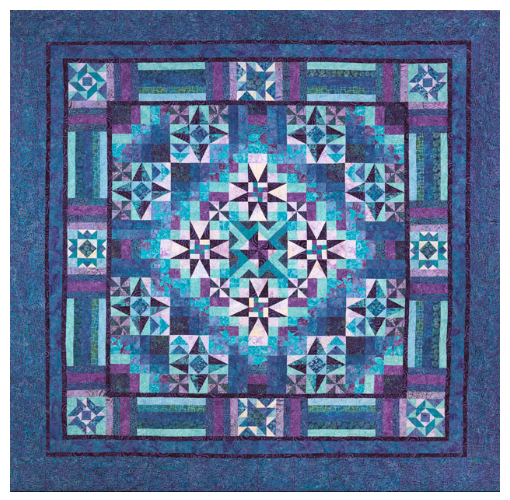 The fabrics in the quilt are some of the prettiest blues, teals and purples we've seen. 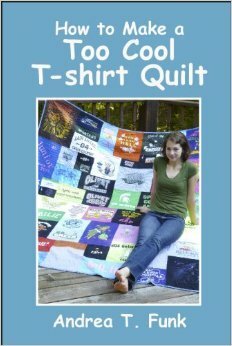 The pattern and fabrics can be purchased monthly or all at once. Let us know what you prefer. 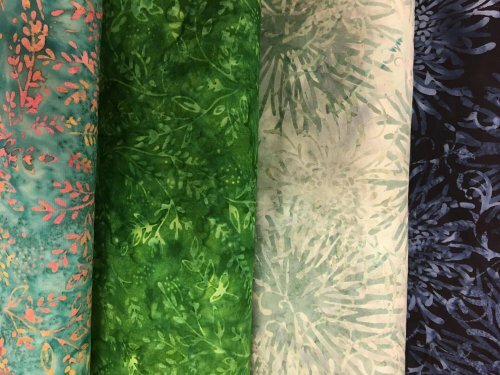 Solstice Fabrics have just arrived and we will be cutting kits early December. Let us know if you want to sign up for this lovely applique quilt. This quilt is 61 x 71 and we have the original from Island Batik in our store! 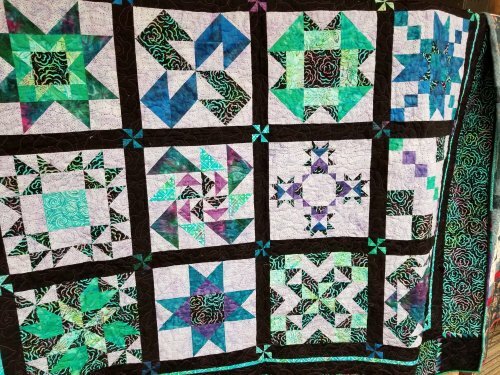 It's so pretty with all the texture coming out from the quilting. Stop in, take a gander and sign up today. Our technician, Cameron, comes to us every other week. He has experience with ALL makes and models of sewing machines, sergers and embroidery machines. Please call us at 406-586-6097 to get on our repair list to ensure he has room in the schedule for your machines. Cameron will be here next on Dec 1st.